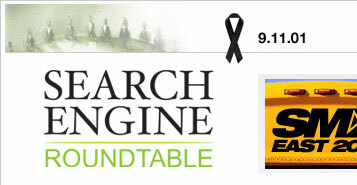 Home > Logos > Google & Bing Remember 9/11; What About Yahoo? Eleven years ago today, America was attacked. It is 9/11, looking at the date gives most people shivers. It feels like yesterday but it was 11 years ago. 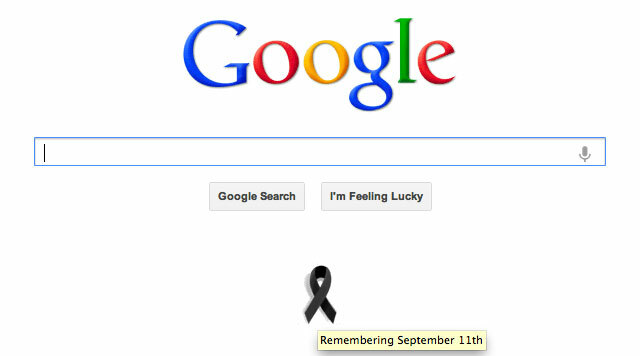 Typically, the search engines pay tribute to 9/11 by changing their home pages in one way or another. Some do subtle things like add ribbons, while others go more extreme with a full home page change. 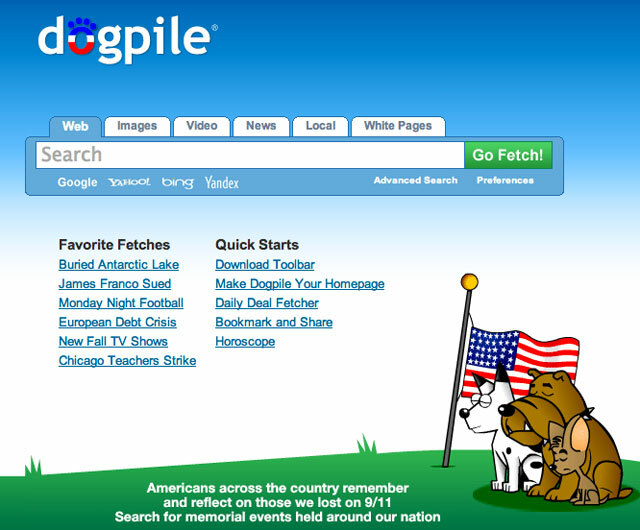 Here is how Google, Bing and DogPile remembered 9/11 this year, where Yahoo seems to have not done a thing for the day. I am not sure why Yahoo didn't add a ribbon or something. Last year, the whole home page header went black. This year, seems like nothing. At least right now. There is one complaint about Google is using a black ribbon in the Google Web Search Help forums but it seems crazy to me.